Jugglebugs Playgroup is a unique program offered exclusively at Circus Akimbo, designed as a gentle introduction to the world of circus and structured activities. 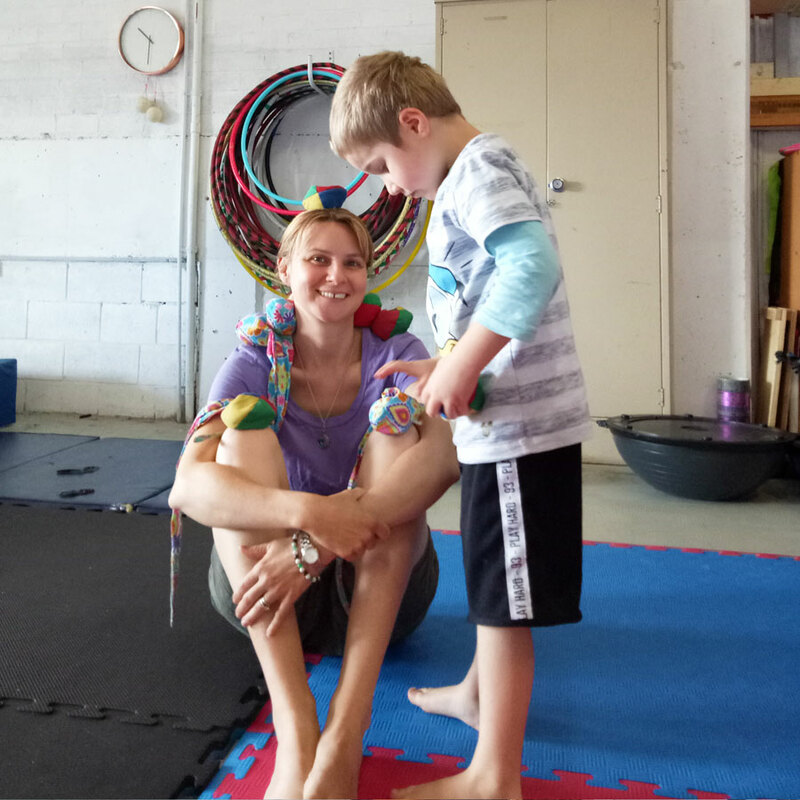 Rather than leaving your child in the deep end, you’ll be with them throughout these sessions as they explore a wide variety of circus skills. Each session begins with games and a fun warm up, then your little Jugglebug has free run of the circus space, with the freedom to move between activities at their own pace and join in when they feel comfortable. Aerial gear is lowered to just above the crashmats to give a safe introduction to circus, and to help develop the coordination, body awareness and strength needed for later circus work. With challenges enough for even the most adventurous child and gentle progressions for even the most shy, children will love playing and exploring the wide variety of options at circus playgroup. These are casual sessions (you don’t need to book a full term), so if you think your child would love Jugglebugs just pick a week you’re available and come along! To sign up, simply purchase a single or multi class pass online. You’ll then be able to book into your preferred classes each week from your account (circusakimbo.com.au/account), created automatically when you make a purchase. If you’re not sure whether this is the right fit for your child, please get in touch so we can help you find your perfect class.